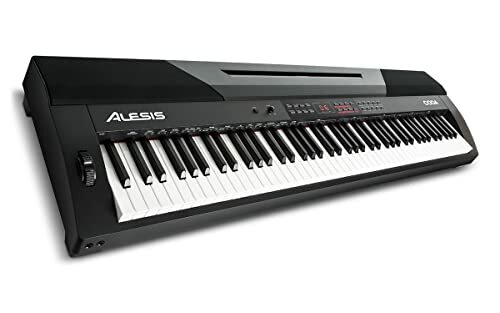 Alesis Coda Review - is this keyboard any good in 2019? Today we are here to talk about our Alesis Coda review. 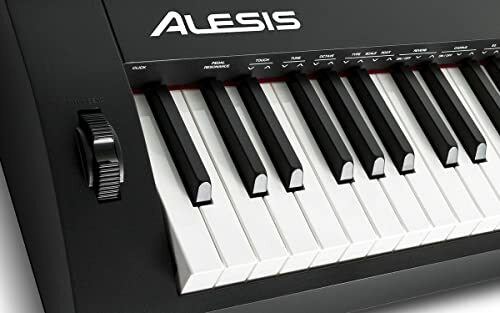 Alesis is a pretty big company in the world of keyboards. They may not stand shoulder to shoulder with Yamaha when it comes to recognition. However, in terms of quality, there is no denying their tenacity for making good stuff. And that is what we have to present today. Some good stuff. The Coda is affordable and favors the needs of the beginner. Does that mean it is right for you? No. Buying a keyboard is hard. You have to weigh the good, and the bad. The fortunate news? We have already done that for you. Our findings have been presented below. Read on for our review of the Alesis Coda! The features found below reflect strong suits of the Alesis Coda. Later on, we will take a more in-depth look at what the keyboard does wrong as well. In the meantime, read on for some important features! Before we get too far into performance, let’s clear the air on the consideration that everyone worries about: price. We won’t say the exact cost of the board, only for the fact that it is so often subject to change. However, it is safe to say that the Coda is very affordable. It might not feel that way to you as you hand over the money. However, compared to other keyboards, the price really is quite reasonable. Of course, keep in mind that a low price does correlate with fewer features. If you want something that is fully loaded, you’re going to have to be willing to give your bank book a bigger hit. If shopping on a budget is your concern though, you might like the Alesis Coda. When it comes to electric keyboards, the phrase “voices” refers to tones the instrument can play. These tones range quite widely from other instruments to a variety of other sounds. You get twenty of them here. If the purpose of this board is strictly for playing the piano, this feature may seem like a novelty. There is still a benefit to you though. Some of the voices are different piano tones. As a result, you have the possibility of playing with a sound that you really love. Another nice feature is that you can layer the voices over one another to create a unique sound. Features of this nature give the artist a lot of creative control. They can also just make for a fun way to goof around occasionally. Last but not least, you also get sixty “play along” songs built into the keyboard. The play along feature essentially means that the board will help teach you to learn how to play well-known tunes. This is a feature that musicians with a little bit of experience are probably going to pass over. However, if you are more of a beginner, there is lots to like about this opportunity. The play along feature makes for a nice, easy way to get better acquainted with the instrument. Will it take the place of lessons? No. Not even close. But it might get you better tuned up so that you can really make the most of your learning sessions. Certainly nothing wrong with that. One of the biggest problems with this keyboard comes by virtue of their design decision. The manufacturer made this board to be only semi-weighted. This means that it will partially resemble the feel of an acoustic. But only partially. This may be better than nothing, but it does leave the player with a feeling of the uncanny. It isn’t quite like an acoustic, nor is it exactly like an unweighted keyboard either. Realistic feel is always an important box that we like to check when we examine a keyboard. Unfortunately, the Coda does not perform well in that department. We also noticed a peculiar buzzing sound being admitted from the speakers. It is hard to say if this is the result of one defective unit or something that most users can expect to encounter. However, the result we experienced was exactly what one might expect given the circumstance. It didn’t sound very good. If you are looking for the very best in speaker quality, you definitely will not find it here. Lat, we had a problem with the way that the company presents this board. This is a somewhat small bone to pick, as every manufacturer is guilty of some over-zealous marketing language. Still, misinformation is never cool. One of the claims that they make about this board is that it is suitable for professional use. One only needs to play it for a few moments to realize this isn’t at all the case. Serious performs, or even dedicated open mic night participants are going to want to steer clear of this option. These things aside, it is a good keyboard. We don’t doubt that this has all been a lot to take in. The review is now over, but perhaps you are currently still in need of clarification. Did the pros outweigh the cons? Let’s take a condensed look at what we learned to find out. 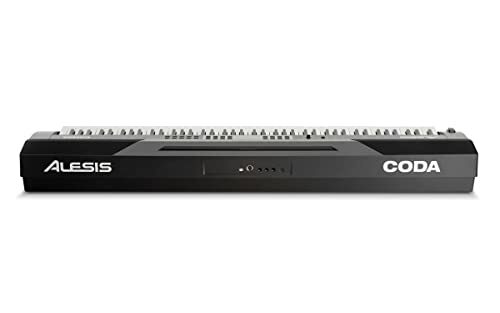 The Alesis Coda is a good product that really has plenty going for it. The driving force behind most that purchase this keyboard may well be the price. It is affordable. There is certainly no denying this. However, affordability is not the only strength. If you are just starting out, the user-friendly features will favor your skill level. There are issues. The keys themselves, for instance, are not even fully weighted. Experts, or even musicians that spend a lot of time on acoustics may want to take a pass here. 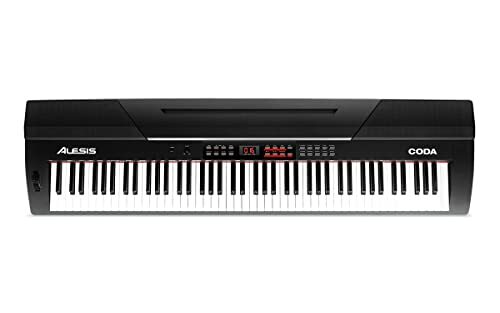 Still, if you are looking for a good keyboard, with a moderate price tag, consider the Alesis Coda a strong contender.